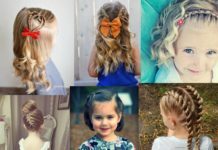 If you’ve been spending any time looking at the internet’s favorite beauty pages, you’ve probably noticed that the two french braids hairstyle is still enjoying tons of popularity. 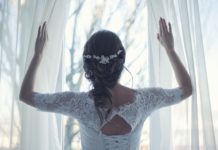 For ladies with everything from bobs to waist-length locks, two French braids can take you everywhere from a day at the gym to something as special as your wedding. To do two french braids, first, divide your hair into the two sections to be braided. 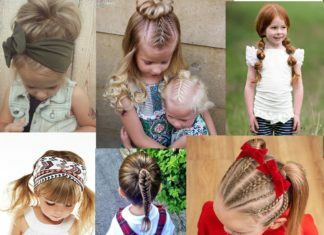 At the start of one section (usually closest to your hairline) divide hair into three strands and complete a few stitches of a normal three strand braid, then continue braiding by adding loose hair into each section of the braid before you cross it over. 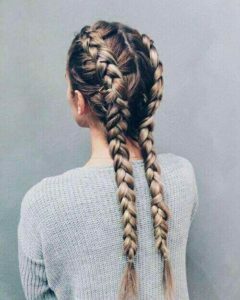 By picking up hair as you go, you’ll be creating a braid that is attached to your head instead of freely hanging. Once you’ve completed a section, secure with an elastic, repeat on the other side, and your two french braids are complete! 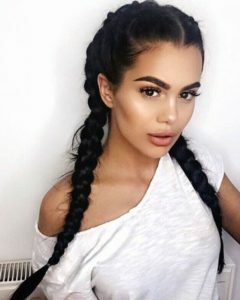 The boxer braid hairstyle has been very popular lately, and is basically a set of two french braids that are tight against the head and set closer to the hairline than the center of your head. Although this look gets its name from the ultra sporty hairstyle that long-haired boxers often wear, this style’s current trend status means it can work for just about any occasion. Two french braids come together at the back of the head to create a cute low bun style that’s perfect for an everyday look or something more special. 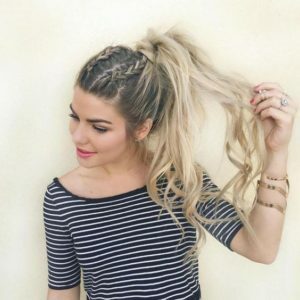 A somewhat messy part and braiding technique proves that you don’t have to be an expert or take a ton of time to pull off a cute double braided hairstyle. 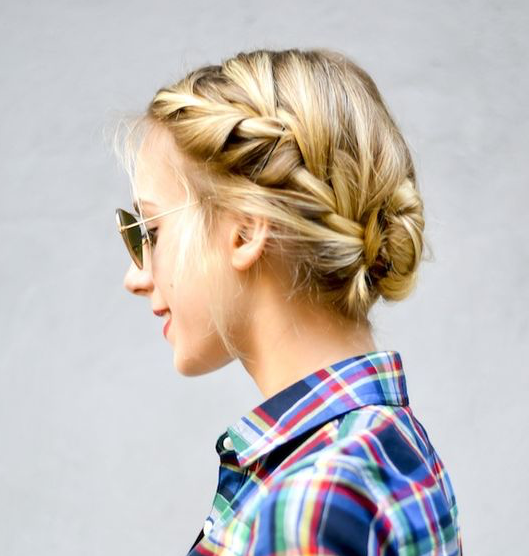 French braids look cute when they’re braided all the way to the ends of your hair, but that can add extra time onto your styling routine. 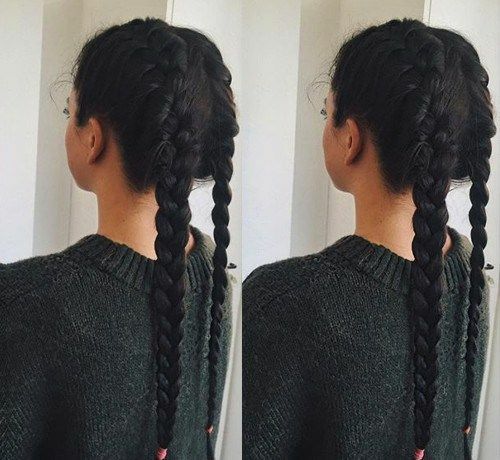 Leaving your french braids in loose pigtails can give your style a nice casual feel, and also works well for layered hair that might pop out of your braids as they continue down. 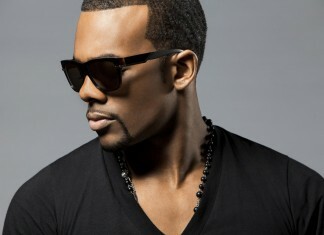 French braids make an excellent protective style for natural hair, and can last for several days if treated carefully. Using two braids makes it easier to ensure all of your hair stays in the braids without having to pull or deal with flyaways. 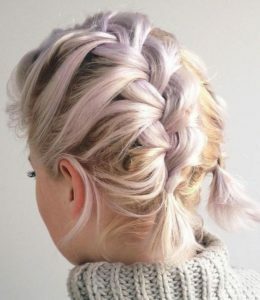 Also known as a dutch braid, inverted french braids are created by passing hair underneath the braid instead of overtop of it, and result in more of a textured pop-out look. 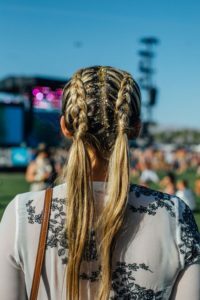 This style should take the same amount of time to execute as regular french braids, but you may have to retrain your fingers to braid in the opposite motion. 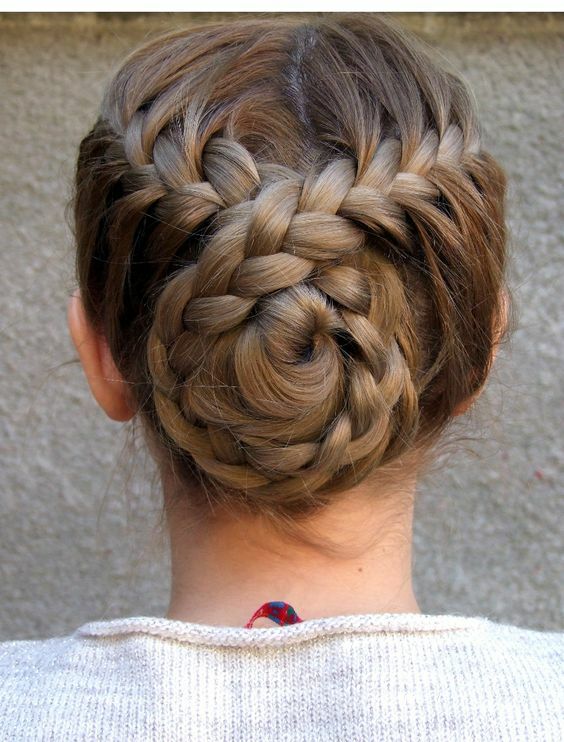 Want to wear a double french braided look that’s also an elegant updo? 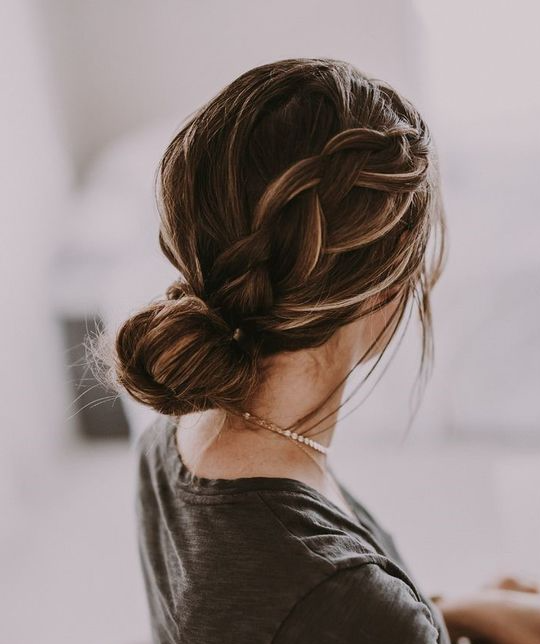 This sophisticated style brings together french braids and a high bun, creating a look that’s great for proms, wedding guests, or dinner dates. We’ve seen two french braids tied off into pigtails, but how about bringing them together into one ponytail? 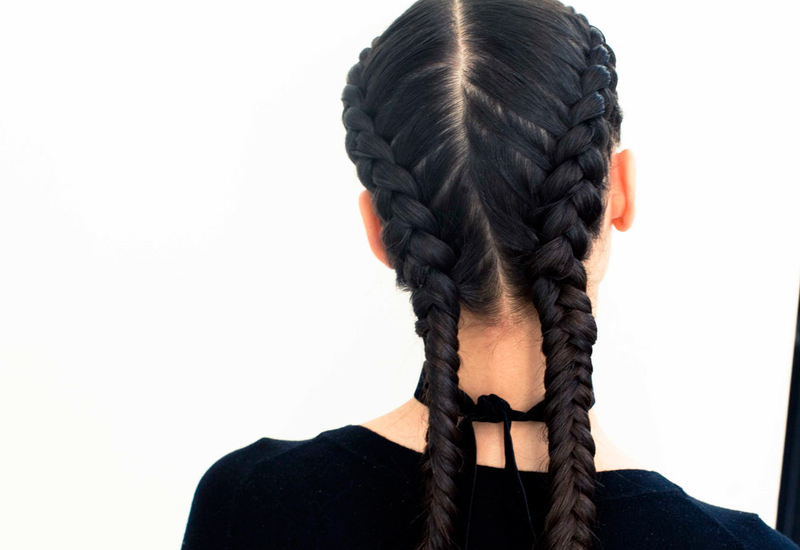 If pigtails feel a bit immature to you, this is the perfect way to wear two french braids. For an adorable half-up look, Sienna Miller’s bangs have been secured in two twisted french braids. 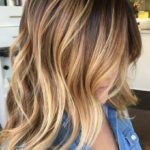 This style is perfect for anyone who’s trying to grow out bangs or looking for a way to dress up their bob haircut for a special occasion. Keep it simple with this relaxed version of the classic style. 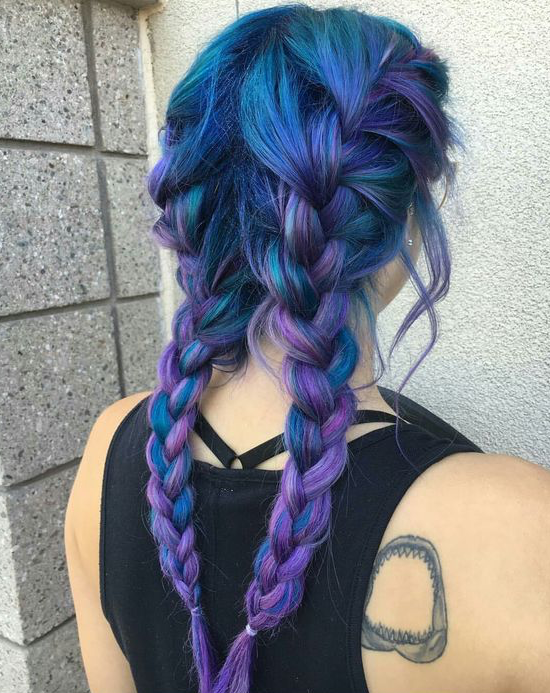 French braids look pretty with any hair color, but they’re especially great for showing off dimensional shades. Adding to this fairytale style is the texture of these french braids, which have been gently pulled apart to create a fluffy look. This romantic take on the look sees two french braids joining together at the back of the head to rest on a bed of luxurious curls. 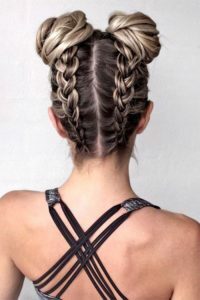 If you’re looking to up your french braiding game, this style wraps two french braids around each other to form an impressive spiral bun. 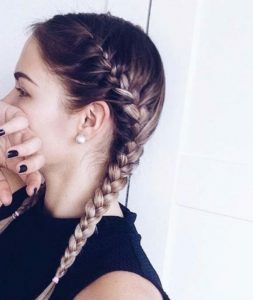 With two braids that haven’t been pulled apart or manipulated and simple low pigtails, this french braided style is the perfect casual look for long haired ladies. Shorter hair can be tough to keep in a single french braided style, but two braids give you a better shot at making the style work for your bob length hair. These double braids feature the perfect amount of mess, and will keep your shorter hair secured for more casual days. The contrast between natural black roots and smoky purple ombre gets some major enhancement with two french braided pigtails. 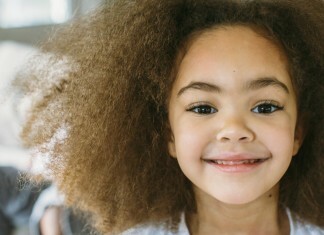 Wrap sections of loose hair around the base of each pigtail to conceal the elastics, and you have a look that’s set to take you from morning through to evening. Lucy Hale’s perfect romantic updo uses two skinny french braids to create a headband, while loose face-framing pieces of hair help to make this style look soft and effortless. This style goes perfectly with a romantic wedding or prom dress with a low back you want to show off. 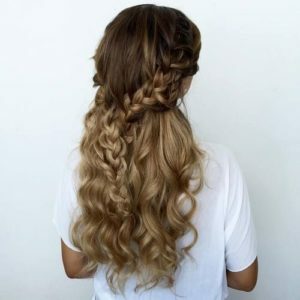 Long hair that’s got natural texture can be difficult to manage some days, and these two french braids offer the perfect blend of protection and style. Dress up your everyday top knot with french braided bangs, and the style suddenly goes from a lazy day look to something more special. These blue and purple french braids have a nice amount of messy texture while still looking stylishly in place. The two different tones here play especially nicely in the french braids, and let you show off your awesome dye job even when you’re wearing a low-key style. 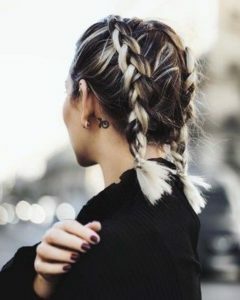 Two skinny french braids down each side of the head are perfect for getting your hair out of the way on days that are full of physical activity. 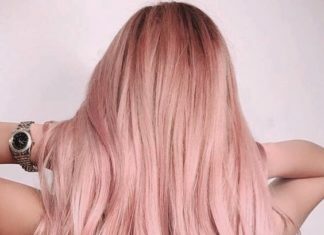 If your hair is on the thinner side, this style is a little easier to execute than ones where hair is braided all the way down to the ends, and can be easily retied when needed. Emily Blunt’s red carpet french braids make her look like the modern version of a Greek goddess. 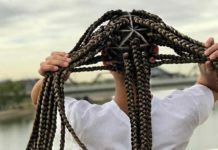 French braids up the back of the head are the next level in braiding style, but can be difficult for beginners to pull off on their own. 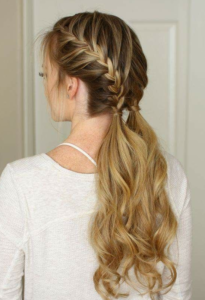 Mid-length hair creates two french braids that are not so long they’re hard to tie, but not so short they fall apart. 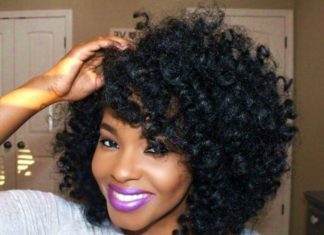 Ladies with blunt lob haircuts will especially appreciate how easy it is to get each strand to stay nicely put in this twin braided style. This updo does things a little bit differently, rolling some sections of hair away from the hairline before beginning to form two french braids. The finished look is perfectly polished, and will set your style apart from any other french braids in the room. 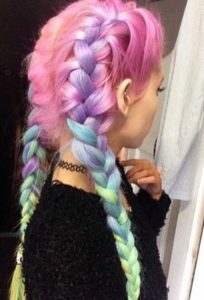 Another example of how two french braids can show off dimensional color, this look takes things to the absolute maximum with a brilliant rainbow of pastel shades. 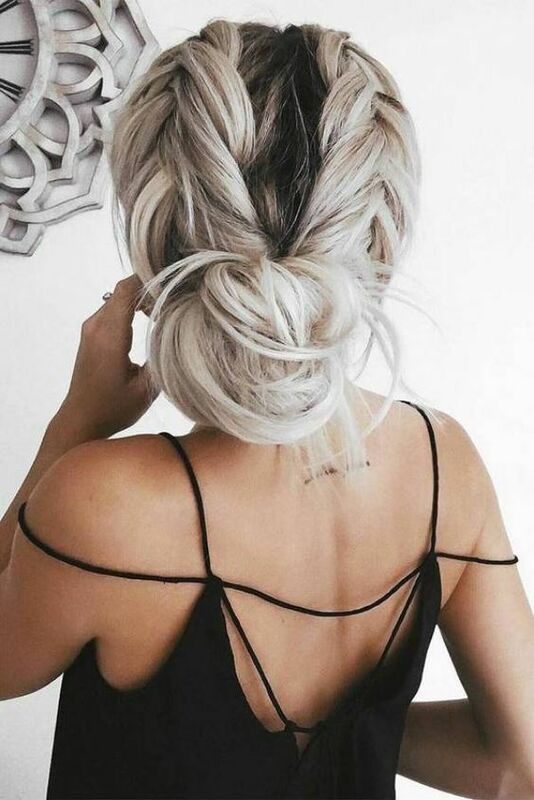 Two thick french braids are pulled back into an elegant bun, while some gentle pulling apart helps to create some extra volume in this otherwise simple style. As if french braids weren’t already a festival must-have, the look gets even more carefree with a heavy sprinkle of fairy dust in your part. 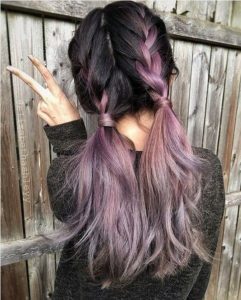 Growing out an undercut can be rough, but two french braids allow you to get the longer pieces of your hair into a stylish updo. 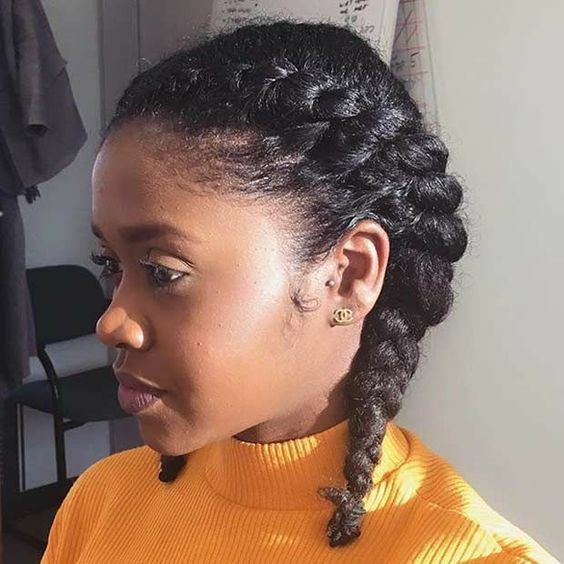 Although many styles with two french braids start a little bit lower down the head, this classic look begins the braids quite high up on the head. To make sure you have lots of grip while braiding, try working with damp hair that’s had some texturizing spray or pomade applied to it. 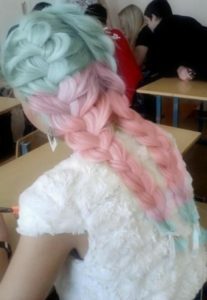 Pulled apart to the max, these braids have an impressive amount of texture. 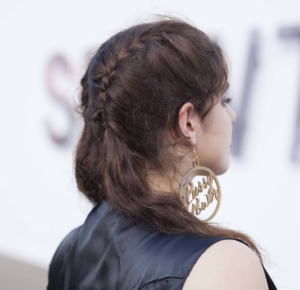 Make your messy ponytail look like less of an afterthought with these adorable twin french braided bangs. Amanda Seyfried’s two french braids get twisted up into low buns, creating a red carpet look that’s a cross between elegant and edgy. 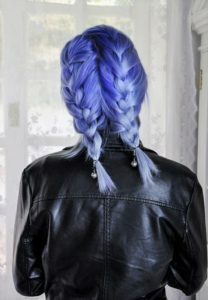 These inverted french braids will show off your hair’s highlights even on days when you’re looking casual. If you secure your two french braids well, don’t be afraid to wear them again the next day. Sometimes sleep adds a nice amount of tousled texture. This two french braids updo is Victorian perfection, and leaves Sienna Miller looking like a vampy goth queen.